Batman and his arch-nemesis now decorate your fancy attire! 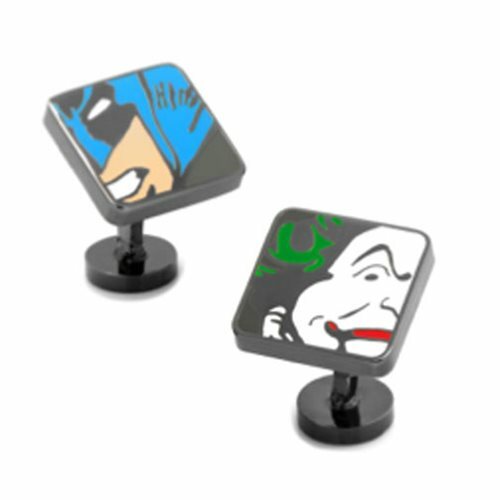 These Batman and Joker Mash-Up Cufflinks feature cool comic book versions of The Dark Knight and his forever-enemy - The Clown Prince of Crime. Fans of Batman would love these amazing cufflinks!